USA Basketball announced today new marketing partnerships with Samsung, Hospital for Special Surgery (HSS), and Diageo. As official marketing partners of USA Basketball, each will promote its brand and products throughout USA Basketball Men’s and Women’s National Team training camp, exhibition games, media, and during several special events taking place this summer in Las Vegas, Chicago, and New York. Several additional partners, including the Jeep brand, Nike, Las Vegas, Wynn Las Vegas, and BBVA will also conduct activities during the summer as the 2014 USA Basketball Men’s National Team prepares for the 2014 FIBA (International Basketball Federation) Basketball World Cup in Spain from Aug. 30 – Sept. 14. • Samsung built a Technology Center in Las Vegas to provide USA Basketball players and staff with Samsung’s latest products to use throughout the summer, including customized tablets, handsets, and wearable devices. • Customized tablets allow the coaching staff to seamlessly share videos, scouting reports, and team schedules on a real-time basis. • Samsung staff are also onsite to train players and coaches on the devices and demonstrate the technology. • Samsung is producing a digital content series that will be distributed to Samsung Galaxy users via the Owners Hub, available exclusively on Samsung Galaxy devices. • HSS’s medical team will provide world class medical care for USA Basketball players throughout training camp and be on the sidelines with the team for all exhibition games and the FIBA World Cup. • HSS physicians will be featured in on-air interviews as part of NBA TV’s Real Training Camp series, providing insight on the unique preparation and medical treatment required to keep elite athletes injury free as they compete in high-profile global events. • Diageo will be the presenting partner of two upcoming special events: the USA Basketball Training Camp Celebration in Chicago on Aug. 15 and the USA Basketball Send-Off Celebration in New York City on Aug. 20. • Diageo will create customized digital content and vignettes highlighting moments of celebration. • Through this partnership Diageo will continue the work it began with the NBA to create initiatives that communicate the importance of responsible decision-making while drinking. • The Jeep brand will host Summer Celebration events in Los Angeles, Las Vegas, Chicago, and New York. • The events will consist of five fan engagement areas that showcase the Jeep Altitude Edition vehicles, while consumers take part in fun summer activities including playing a game of HORSE from the rear of a Jeep Wrangler Altitude Edition in the USA Basketball-themed area. • Current Jeep endorser Kyrie Irving will make an appearance at the Chicago and New York events. 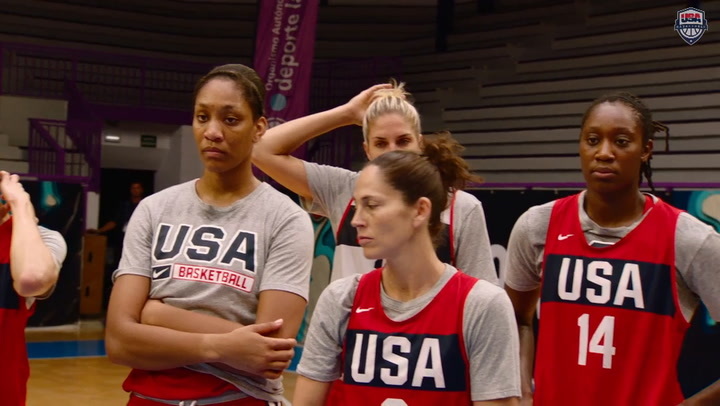 NBA TV aired Real Training Camp: USA Basketball Presented by Jeep – a live behind-the-scenes look at a USA Basketball Men’s National Team practice – on Tuesday, July 29, at 3 p.m. ET from Las Vegas. • Matt Winer hosted the two-and-a-half hour special with NBA TV analysts and former USA Basketball members Grant Hill and Steve Smith, along with reporter Jared Greenberg. • The show featured mic’d up players and coaches, as well as exclusive interviews with players and coaches participating in training camp. • In alignment with its military heritage, the Jeep brand hosted a group of Airmen stationed at Creech Air Force Base during this event, giving them an opportunity to view the practice and attend a meet-and-greet with Kyrie Irving. • A series of digital vignettes showcasing behind-the-scenes content from the Jeep brand’s USA Basketball-themed activities, along with other campaign content, will live on jeep.com/summer. • Fans will have a chance to win the Official Vehicle of USA Basketball by tagging photos on Instagram with hashtag #jeepsummer through Sept. 5. • Jeep will set up an in-arena or outdoor display during the exhibition games at the Thomas & Mack Center in Las Vegas, the United Center in Chicago, and at Madison Square Garden in New York City. In-arena programming will include oncourt giveaways, courtside signage, branded seatbacks, and in-game media. • Nike, Jordan Brand, and USA Basketball will host the third-ever World Basketball Festival at the 63rd Street Beach House of Chicago Aug. 13-17. 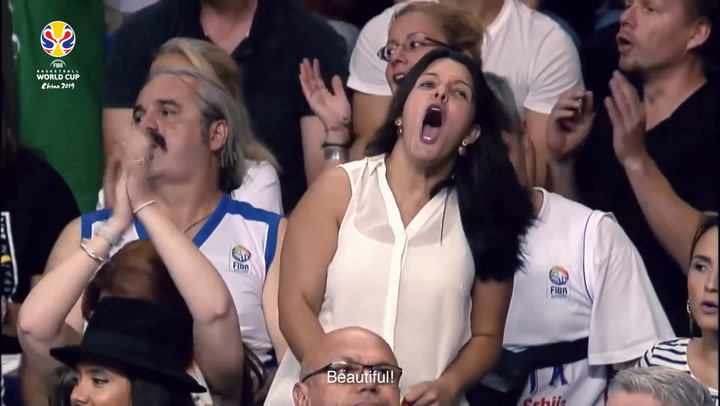 • Originally created in 2010 as a celebration of the performance and culture of the game that is loved and respected around the world, World Basketball Festival 2014 will celebrate Chicago’s pride and passion for basketball over the course of several days. • World Basketball Festival 2014 will feature members of the USA Basketball Men’s National Team participating in youth skills clinics and community events, including basketball court refurbishments and school symposiums. • On Aug. 14, Nike and USA Basketball will host an opening ceremony at the 63rd Street Beach House that will officially launch the World Basketball Festival in Chicago. • As the official outfitter of USA Basketball, Nike will use the event to showcase the new USA Basketball uniforms, as well as other signature footwear at the event. 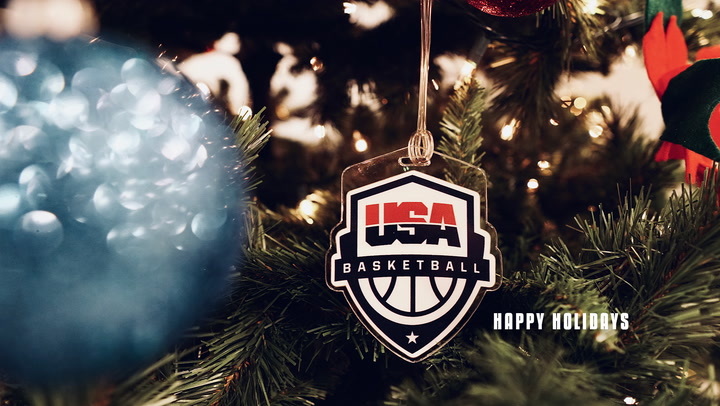 • During the ceremony, consumers will hear from their favorite basketball players and coaches, and will have the chance to interact with USA Basketball product collections. • The 63rd Street Beach House will pay homage to the game of basketball from both a global and Chicago-based perspective and the House will tell heritage and innovation stories, showcasing historic footwear and apparel alongside their current iterations. • In addition, the Chi-League Finals will be played on Aug. 16 at the Beach House, featuring some of the city’s greatest basketball players. • This is the eighth time in the last nine summers that Las Vegas has hosted USA Basketball, solidifying Vegas’ position as the destination for elite summer basketball. • Wynn Las Vegas will serve as the “Official Hospitality Partner of USA Basketball” and “Official Training Camp Home” of the USA Basketball Men’s National Team. • BBVA will be a USA Basketball hospitality partner in Spain during the FIBA World Cup Games in Bilbao, Barcelona, and Madrid. 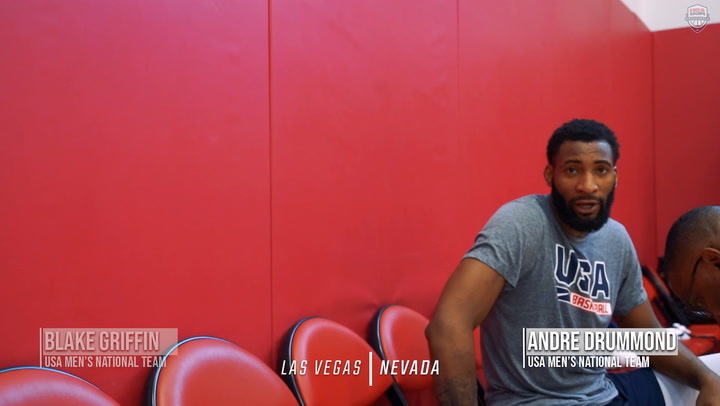 The 2014 USA Basketball Men's National Team training camp opened in Las Vegas on July 28, and on Aug. 1, the Thomas & Mack Center will host the USA Basketball Showcase, featuring a Blue-White intrasquad exhibition game between members of the USA Men’s National Team. Following a 12-day break, the Men's National Team will reassemble in Chicago on Aug. 13, for additional training. While in Chicago, Nike, Jordan Brand, and USA Basketball will host the third World Basketball Festival on the lakefront parks of Chicago. The Chicago trip will close with an exhibition contest versus Brazil at the United Center on Aug. 16. The team will conclude its stateside World Cup preparations Aug. 18-22 in New York City with two exhibition games at Madison Square Garden, the first against the Dominican Republic on Aug. 20 and the second versus Puerto Rico on Aug. 22. Based in Colorado Springs, Colorado, USA Basketball, chaired by Colangelo, is a nonprofit organization and the national governing body for men's and women's basketball in the United States. As the recognized governing body for basketball in the U.S. by the International Basketball Federation (FIBA) and the United States Olympic Committee (USOC), USA Basketball is responsible for the selection, training and fielding of USA teams that compete in FIBA-sponsored international competitions, as well as for some national competitions, and for the development of youth basketball initiatives that address player development, coach education and safety. USA teams are the current men's and women's champions in the Olympics; men's and women's FIBA World Championships (Basketball World Cup); men’s and women’s FIBA U19 and U17 World Championships; men's and women's U18 and U16 FIBA Americas Championships; the FIBA 3x3 Women's World Championship; and the FIBA 3x3 Women's U18 World Championship. USA Basketball currently ranks No. 1 in all five of FIBA's world-ranking categories, including combined, men's, women's, boys and girls. For further information about USA Basketball, go to the official Web site of USA Basketball at www.usabasketball.com and connect with us on facebook.com/usabasketball, twitter.com/usabasketball and www.youtube.com/therealusabasketball.